Our personalized ID tags are simply the best! 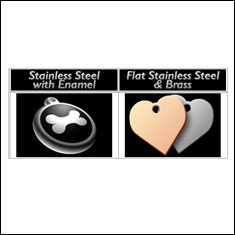 Enamel filled and forged from solid stainless steel, the tags are available in 3 sizes and many colors and designs. Our flat metal tags are the thickest on the market - guaranteed never to rust. 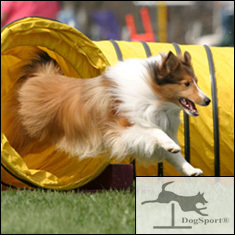 MYKENS offers some of the finest professional quality agility equipment for purchase in special order packages. From weave-poles, to jumps, to A-frames - think of us for your agility equipment needs. Each mossed topiary and metal form is a unique handcrafted work of art. 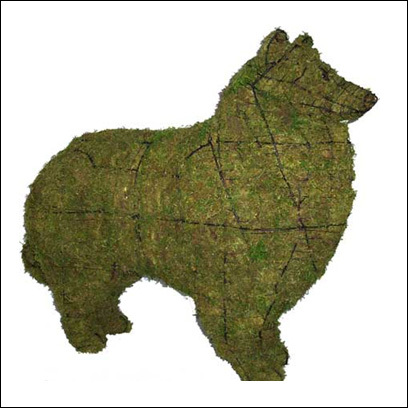 These specialty sculptures honor canines and felines alike and are guaranteed to liven up your garden. 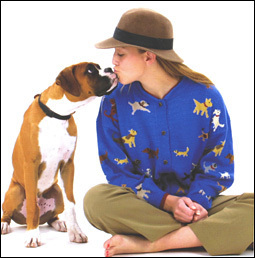 Hand-loomed and designer sweaters, denim shirts and jumpers, jackets and vests, T-shirts, pajamas, nightshirts and robes, socks, scarves and more! 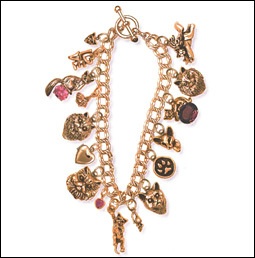 We feature jewelry in fine, high polished sterling silver, 14k gold, pewter and enamel designs. Unusual antique and handcrafted pieces are also available. 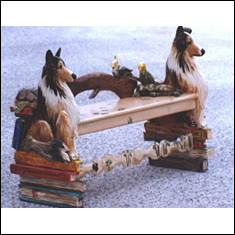 Ross' Functional Art is made from kiln dried poplar wood and is meticulously hand-carved from your pet's own likeness. From handcrafted benches and stepstools, to coffee tables and wine racks, each piece is created with a unique flair for detail and tender loving care.